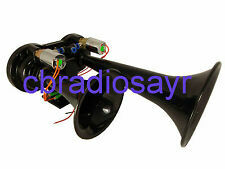 12V Black Air Horn - YouTube. These are fitted with a 6mm T Shape pneumatic quick push fitting connection so will require a 6mm pneumatic airline pipe. Jonesco VG22A - HDPE Twin-Arch Mudguards (Pair). Manufactured by Jonesco on their patented extrusion machinery. 880mm Length x 430mm Width x 440mm Radius x 1380mm Overall Length. Silver on one side, black on the other. TYPE 663 / TYPE 643. Part Number:SB 663. SuperBatt Automotive battery range is designed with Advance Calcium Technology which makes them Maintenance Free and give Longer Life compare to conventional automotive batteries. SPX Stone Fenner 12v/24v Junior Smart Start Solenoid Tippers Tail Lifts Replaces EF-1071. Windscreen section: 220cm x 80cm. Side window sections: 80cm x 80cm. Hose Length : 5m. - Blow Gun With 120mm Steel Nozzle. - Hose and gun fitted equipped with quick swivelling couplers. - T-Shaped Quick Connector With Bronze Ball Automatic Shut-Off Valve. - It is designed for the efficient blowing of air, ideal for the cleaning of parts and surfaces. 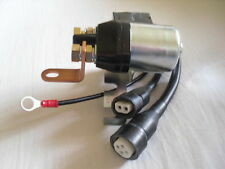 A 12v or 24v hella plug to Cigarette Lighter socket adaptor with adjustable angle. Adjustable Hella Plug to Cigar Socket Adaptor. Adjustable Hella Plug to Cigarette Lighter Socket Adaptor. This handy adaptor allows you to plug a standard cigarette lighter plug into a hella type socket. Probably the largest 24V kettle available - a massive 1.5L capacity! THE BIG RED KETTLE. Supplied with a "Hella" type plug fitted - all ready to go. Hella plug fitted. Over heat protection. 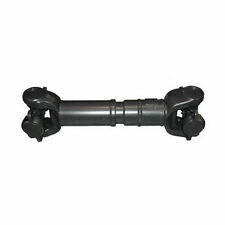 To fit DAF Truck/Lorry front or rear. black colour with white logo. easy to install and easy to clean. chemical resistant. Impressive Diesel Train Horn Sound which is both loud and distinctive. VERY LOUD - 150 dB! Two tone, super loud black diesel air horn. Loud 170dB diesel train sound. 100 Quality Tachograph Discs. Pear shaped centre, red trace. EU Approved Charts that provide superior trace for analysis. TACHODISC CHARTS. New generation. Jarger automatic. Veeder-Root (8000 series). EMBOSSED LOGO. - Price for 2 Piece. - TOP QUALITY PRODUCT. - SIZE: 600x200mm. Gurantee: All products are subject to manufacturers warranty. 250mm Length of cable 3 Pin Plug. HGV / Truck Cabin Curtain Set - FULL SET. 2 x Side / Front window curtains with fringes - each 250 cm Long x 105 cm High. 1 x Tunnel curtain with fringes - 215 cm High x 150 cm Wide. 1 Matching pillow with fringes - 44 cm x 40 cm x 13 cm. Painted in DAF Brilliant White. Main Mirror Cover. HGV BODY PARTS. Fits: Left Hand (Near Side) - Passenger Side and Right Hand (Off Side) - Drivers Side. 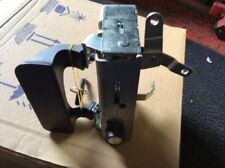 VOLVO FH / FM MODELS CAB CURTAIN HOOKS PACKS OF 100 . Tail Light (Neon). Stop Light (Neon). Indicator Light. 41 bright LEDs inside each lamp. Reverse Light. Distance between fitting bolts : 150 mm (5.90") M6 Bolts (6mm). Brown - Reverse gear. Cable Length : 420mm (16.53"). Scania "R" Series cab curtain hooks. Most curtain re fits will need between 75 to 100. 9 mm Head . (Will also fit G & P series). Certification: E6. 2x Rear View Mirror for nearly every Truck / Bus. Objects in the mirror are not in real distance! Mounting bracket - 16mm to 20mm. Optic view - the objects in the mirror are lowered. Universal Hand Throttle Cable and Lever Assembly. This cable is ideal for throttle applications for This cable is designed for Tension Applications only. Next Bus Ltd have for sale Fits from 10mm to 32mm mirror arm. UNIVERSAL HAND THROTTLE CABLE AND LEVER ASSEMBLY. This cable is ideal for throttle applications for trucks, PTO applications, Auxiliary Engines,Jetting Machines, Generators and small boats. If not we will send a random colour.The BOTTOM pin is 10mm to fit any drill. THIS COULD LAST YOU YOUR ENTIRE CAREER ! Made from A Seriously HEAVY DUTY laser cut stainless steel disc Welded steel prongs and a competition weight frisbee ! 2 PCS PREMIUM GREY COMFORT PADDED SEAT COVERS CUSHIONED MADE TO FIT 99% OF TRUCK/LORRY SEATS. SEAT COVERS ARE MADE OF PREMIUM QUALITY OEM FABRIC WITH SOFT FOAM PADDING. SET INCLUDE 2 SINGLE SEAT COVERS. 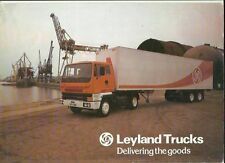 Suitable for:DAF LF45, LF55 (2001 On). DAF LF Series Plastic Header / Expansion Tank. This policy does not affect your statutory rights. 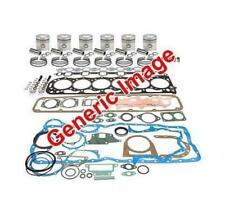 Part number: BP113-005. Bison Parts cannot accept liability for any inaccurate or subsequent changes to the information provided. 2 x WIDE ANGLE / BLIND SPOT TRUCK VAN LORRY PLANT DIGGER CARAVAN BUS MIRROR. COMPLETE WITH GLASS AND FIXINGS TO FASTEN TO MIRROR ARM. MOUNTING BRACKET : 16 - 18 mm MIRROR BAR. CAN BE FITTED LEFT OR RIGHT SIDE. OE: 1529070, 1422991, 1400207. 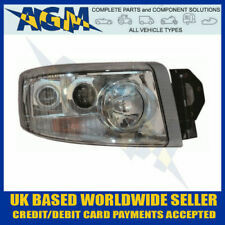 SCANIA 4 SERIES SPOT AND FOG LAMP LIGHT (CLEAR). This policy does not affect your statutory rights. Ordering from outside mainland UK?. Bison Parts cannot accept liability for any inaccurate or subsequent changes to the information provided. This part replaces manufacturer part numbers. Suitable for:Scania 4 / P / R / T Series. Bison Parts cannot accept liability for any inaccurate or subsequent changes to the information provided. (for reference purposes only). Universal hand throttle cable and lever assembly. This cable is ideal for throttle applications for Trucks, PTO applications, Auxiliary Engines, Jetting Machines, Generators and Small Boats. 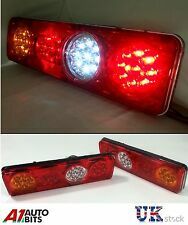 2 PCS 12V 2 LED RED REAR SIDE MARKER LIGHT POSITION TRUCK TRAILER E-MARKED DOT. Fit for 12v vehicles.Ideal for cars,trailers,truck etc. No screws or bolts are supplied, just the marker light. 2 wires (white & red). 12V TYPE 643 HEAVY DUTY COMMERCIAL BATTERY TRACTOR, LORRY, WAGON. To the more common universal air fitting as used with air duster blow guns etc. 32mm BLACK FINISHED ABS PLASTIC WHEEL NUT. 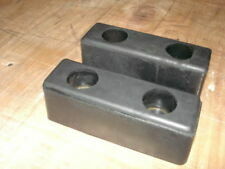 Will fit any 32mm wheel bolts or nuts. SIZE: 480x285mm. Actual Images of item are shown above.